With All Saint’s and All Soul’s Day coinciding with a long weekend next week, Metro Pacific Tollways Corporation (MPTC) has made all the necessary preparations to make sure that traffic along North Luzon Expressway (NLEX), Subic- Clark-Tarlac Expressway (SCTEX), and Cavite Expressway (CAVITEX) flows as smoothly as possible for motorists heading out of town. At the launch of ‘Safe Trip Mo, Sagot Ko’ (SMSK), MPTC president and CEO Rodrigo Franco said that they will ‘enhance traffic management and toll collection services for the convenience of motorists’. A strict ‘no road works’ policy will be implemented starting 5PM October 26 until 9AM November 5, 2018 on all of its three expressways while traffic management teams of NLEX and SCTEX will operate on extended working hours to monitor and manage the vehicular flow along Balintawak, Mindanao Avenue, Bocaue, Sta. Ines, Tarlac, and Tipo toll plazas. To maximize their workforce while also moving vehicles much faster through critical toll plazas, 28 toll collection points will be opened at Balintawak; 10 toll collection points on Mindanao Avenue; 20 in Tarlac and 6 in Tipo during the peak periods of October 26, 28, 31, and November 1. MPTC will also have 60 collection points for southbound motorists at the Bocaue Toll Plaza from October 28, November 1, 2, 3 and 4 while Tarlac Toll Plaza tellers will be ready to issue pre-encoded transit tickets. CAVITEX will field more patrol teams to manage traffic and assist motorists. SMSK Motorist Camps will also be set up and ready to provide free calls, Wi-Fi, drinking water, basic mechanic services and first aid treatment in strategic locations. 24-hour free towing service to the nearest exit will also be available from October 31 6AM until 11:59PM of November 4. “One of the advanced enhancement for the digital world of MPTC is real-time traffic situation at the NLEX-SCTEX, which can now be viewed via Facebook Live on the NLEX Corporation Facebook page from Oct. 31-Nov. 4,” said Franco. Easytrip users will also be getting more exclusive lanes as part of MPTC’s efforts to improvement customer experience. “To accommodate the increasing number of Easytrip subscribers, some cash and mixed toll lanes in NLEX will become exclusive electronic toll collection (ETC) lanes. From 15 exclusive ETC lanes in 2017, NLEX will now have 27 exclusive ETC lanes for Easytrip subscribers. 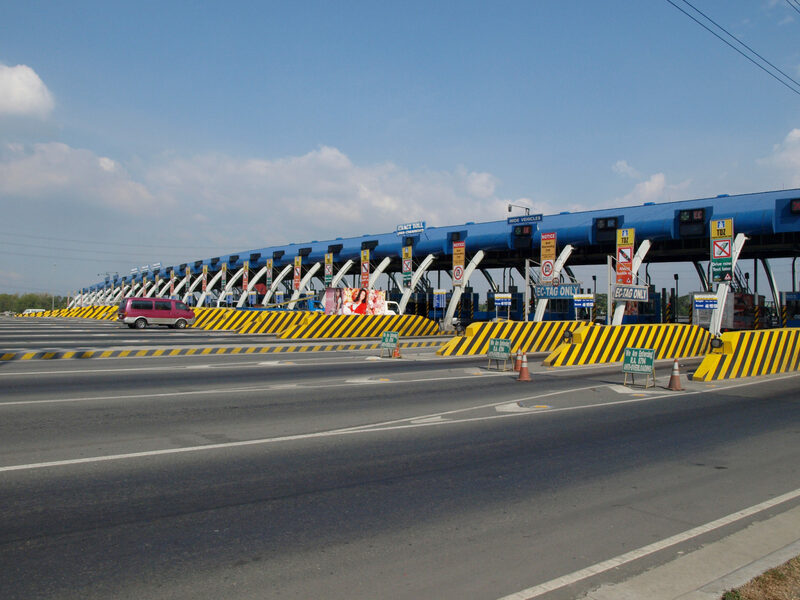 At Cavitex, two toll lanes at the Parañaque Toll Plaza will be converted to exclusive RFID lanes,” said Renato Punzalan, vice president for Tollways Development and Engineering South. To ensure comprehensive coverage of their expressways, MPTC will also deploy additional patrol and incident response teams in critical areas to be able to promptly assist motorist emergencies.